Northamptonshire Police is warning over scam calls about missing pets. 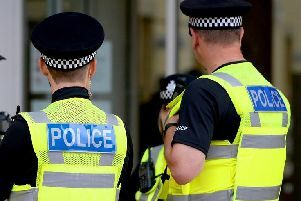 Lincolnshire Police are appealing to the public for any information or dashcam footage after an eight-year-old girl was hit by a car in Martin, near Woodhall Spa, earlier this week. The incident was reported to police at 9.13am on Tuesday (June 26) near Mrs. Mary King’s School in Moor Lane, Martin. It is understood that the girl was walking to school at the time of the collision. She was taken to hospital, although no details of her condition have been released. Anyone who saw the incident should call police on 101, quoting incident number 98 of June 26. Any dashcam footage should also be declared to the police.